The Hausa people are one of the most numerous peoples of Africa. They are found mainly in Nigeria and Niger. If they are seen today as a group rooted in Islam, this has not always been the case. In this article we study the authentic religion of the Hausa and especially its profound links with the other ones in Africa. 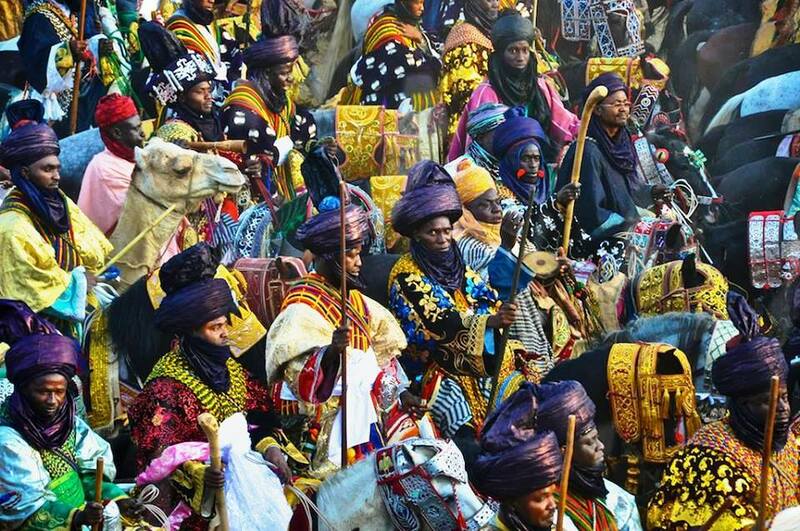 According to the Hausa tradition, their founding ancestor was a man who came from Baghdad in ancient times. We must say that we are here – obviously – facing a historicity that has been reviewed for the needs of a Muslim identity. The Hausa, like many other African people, that have been islamized, have unfortunately invented their origins from the East. In fact everything suggests that the Hausa are strictly Africans. 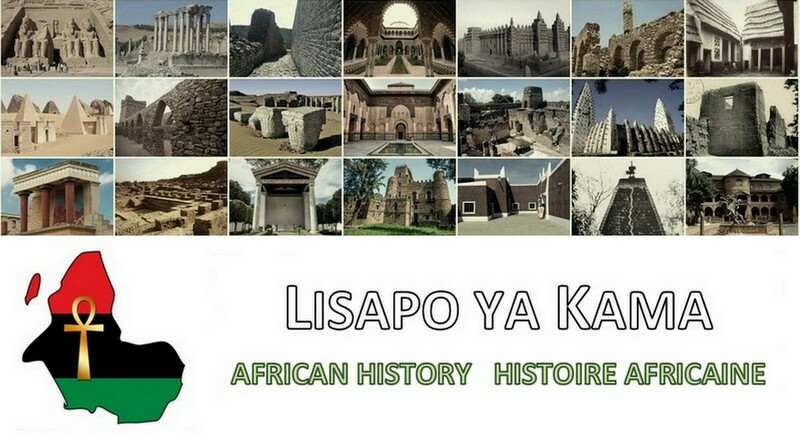 The Hausa language is an African language and even particularly close to that of the ancient Egyptians according to the Unesco. We will study their religion which leaves no doubt about their intracontinental origin. 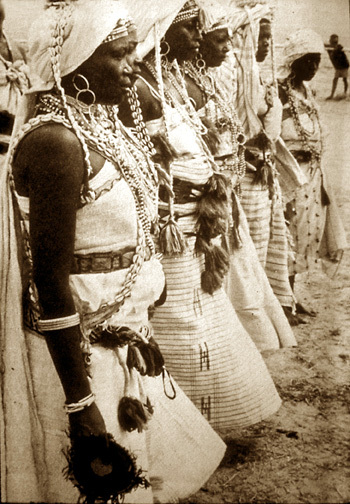 Moreover, as we shall see, matriarchy – a cultural characteristic peculiar to the black world – was exceptionally strong among the Hausa. Ra or Rana means the sun, or the day, or the heat of the sun for the Hausa. Rana was worshiped as a female deity. This is identical with ancient Egypt where Râ was not only the sunrays at its zenith at Midday but the main name of God Himself – Herself. Among the Bassa people of Cameroon, it is through the sun that this people gives to God its most famous name: Djob. 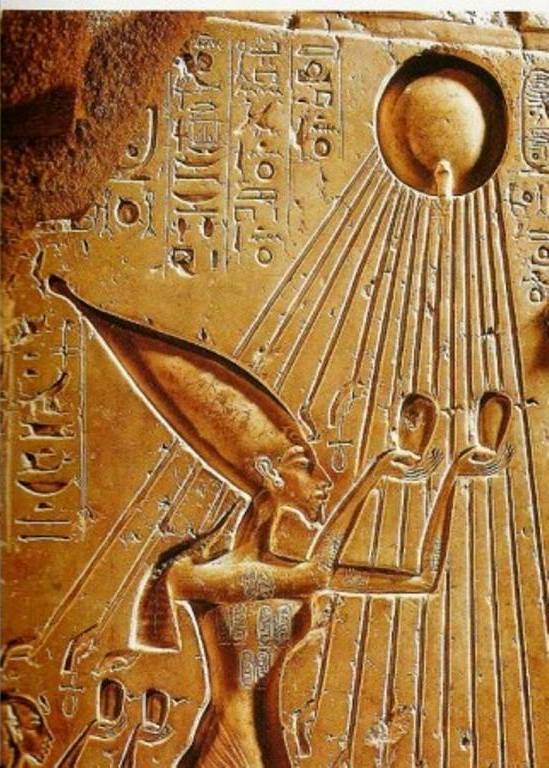 Pharaoh Akhenaten, who defined himself as Sa Râ (son of Râ) is making here offerings to the sunrays which bring life symbolized by the Ankh crosses at the end. For Africans, God is the energetic power that dispenses life, the creative force that encompasses all existing energies. Now, the most powerful energy entity seen by the man is the sun at its zenith. Thus the sunrays and the heat they produce are considered as a miniature God. That is why they bear the same name as the Creator. It is noticed that Rana, the tutelary deity of the Hausa, was feminine. Everywhere in Africa, the female part of God interacts with the male part. Mawu/Lysa in the Vodun, Imana/Aminata in ancient Egypt. In the same way, it is argued that Roog, the name of God for the Sereres of Senegal, is in fact the equivalent of Râ. Roog for the Sereres is mostly feminine. The fact that the Hausa considered Rana as a female entity is probably related to the nourishing role of the sun, which makes plants grow. For the Hausa there is only one current of energy in the nature and this energy is distributed in each element of the creation. The cult of these energies is called Bori. This is still what the peoples of Kodorfan in Sudan call Desatir. We are here in the fundamental idea of the African Religion. For Black people, everything was created by an Initial Energy and each existing creature carries a part of this Energy. God is therefore a unique Energy (initial and totalizing) that becomes multiple when He-She is divided into every creature. This is why the BaKongo say that God experiences uniqueness in multiplicity. These sub-gods or multiple energies are called Allejenu by the Hausa, Orisha by the Yoruba, Vodun by the Fon, Ntjeru by the ancient Egyptians, Ayaanle by the Somali etc … Thus, there is one Allejenu of the waters, one for the earth, one for the trees, etc. This is what we can call a Spirit or a form of God. This idea is general in the black and Malagasy world. 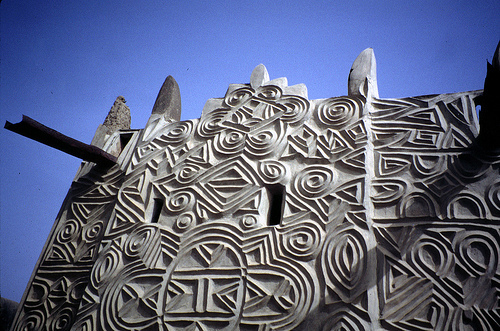 Note the spiral patterns found also in the Ashanti architecture in Ghana. In the African spirituality, Râ the Initial and Creative Energy, took a spiral form to engender creation. The spiral is the sacred form in Africa. During the Bori cult, an energy takes possession of a man (jakama-ta) or a woman (jakama-shi) and converses with him. The same scene is described in Madagascar where the Mpimasi (the priest) is possessed by an entity that makes him speak an unknown language. Traditional Hausa doctors, as in the whole Africa, invoke energies to find out cure for the patients. The method is practiced by the N’angas among the Shona of Zimbabwe or the Sangomas among the Zulu in South Africa. The Bori is headed by a woman (Magaja) and a man (Ajingi). It is therefore a couple that directs the spirituality. This recalls ancient Egypt. The woman as in the black republic of Carthage had much influence among the Hausas in the priesthood, and even more than the man. Here we see the African matriarchy in all its splendor. That is why there were queen regents (Magajiya) among the Hausas. 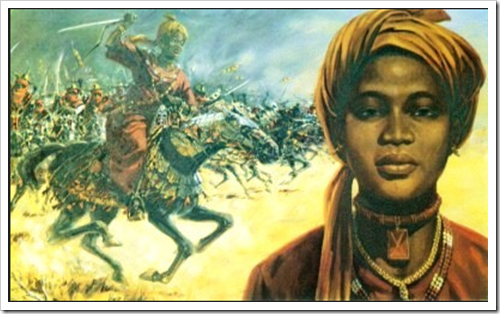 One can quote Queen Bakwa Turunku and her daughter the legendary warrior Amina. The inheritance among the Hausas was even matrilineal like the predominant tradition in Africa. When the Magajiya leads the cult, she is called Bori-Magadjiya or queen-priestess. Female Pharaoh Hatshepsut was bearing the same title. The African Religion has the peculiarity of allowing women, unlike the revealed religions, to be able to occupy all levels of the hierarchy. Thus, the Hausa matriarchy has faded away before the Islamic patriarchy. Nowadays, mostly women still practice the Bori. “The Bori folk gather for the dance in the afternoon about two hours before sundown. Soon the sounds of fiddles (Goye) and guitars (Molo) strike the ear, accompanied by the calabashes (Koko) either beaten with sticks or, if furnished with grooves, held before the player’s chest, who scratches them with his nails in turning them round and so produces a humming sort of sound. Then the Magadja rises to her feet. She wears two girdles of cloth (called Damara), in which the amulets are sewn, knotted together over her breasts and hips and in her hand she holds a slender rod of bronze. Scarcely lifting her feet from the ground, she steps slowly forwards ; her movements soon get more lively and she follows the accelerando music by beating its time on the ground with the soles of her feet. Suddenly she makes a leap and falls on the earth with her legs spread apart, only to get up and repeat this performance. A large mortar is brought along. The Magadja gets on to this and ventures the jump as aforesaid also from this, shaking the firm earth as she falls on it. She does this three or four times, until she falls exhausted into the arms of her attendants, who comfortingly cover her with a cloth while the hitherto breathlessly gazing crowd thanks the dancer and musicians with an ample largesse of cowrie (equivalent to money in Ancient Africa) and kola. In conclusion, the Hausa religion takes up the great pillars of the African Spirituality, namely a unique God who is the creative energy distributed in each element of creation, the Sun which is the main visible entity and therefore assimilated to a miniature form of God, the preponderant place of the woman in the practice of Religion. PS : Alledjenu is actually a word of Arabic origin. The real name of the forms of God among the Hausa is Iskoki.